Trump’s steps to quit multilateral international obligations, and initiate a trade war against several countries made it clear that to him, the Republican Party was doomed to lose control of the House. The U.S. midterm elections marked two years since Donald Trump’s presidential victory. All 435 seats in the House of Representatives were up for grabs during the elections, and 35 seats in the 100-member Senate. The results were as expected: Democrats gained a majority in the House of Representatives with 219 seats, but Republicans maintained, and even expanded, their majority in the Senate. Both parties achieved full mobilization for the turnout—estimated at 45-50 percent—among their supporters. It may have been the highest turnout since the 1960s, indicating strong sentiments on both sides. The results signaled a split in U.S. politics and society. At the same time, the tradition of power checks and balances as a fundamental guarantee of democratic politics continued to act effectively, and the U.S. public is still reluctant to approve one-party dominance in Washington. While indicating the re-emergence of a divided Congress, there is also good news for the Democratic Party. The new House is not only constituted of more diverse ethnic groups, but also has a big increase in the number of women. Democratic activist Alexandria Ocasio-Cortez, at the age of 29, became the youngest woman elected to Congress, Sharice Davids from Kansas was one of the first of two native American women elected, while Ilhan Omar of Minnesota and Rashida Tlaib from Michigan became the first two Muslim women to win an election to Congress. This is conducive to the Democratic Party, as groundbreaking campaigns have broken barriers and changed the face of Congress and state legislatures across the United States, creating favorable conditions for regaining the right to set the political agenda lost in the 2016 presidential elections. In the gubernatorial races, Democrats gained control of seven statehouses and broke Republican control of four. Significantly, two red states, Kansas and Wisconsin, turned blue, while the Democrats won rare victories in some congressional districts in Florida and Texas. Previous polls this year and the actual Republican voting rate in the midterm elections reflected the fact that Trump’s political base has not been significantly shaken. Those who support him not only continue to follow him, but also voted to prevent Democratic victories. Trump and the Republicans, to some extent, have pushed the country back toward conservatism in the past two years. The major legislative agenda for 2016-20, represented by the Tax Cuts and Jobs Act, a controversial tax reform bill, was completed in the first half of Trump’s term. Thus, there is no urgent legislative matter remaining to be taken up by the Democrats to put pressure on Republicans. The number of conservative justices on the Supreme Court exceeds that of liberals, which means that the conservative trend in U.S society may continue for at least a decade. The 85-year-old Supreme Court Justice Ruth Bader Ginsburg, a liberal, suffered a fall in her office recently and made the matter of her successor a public issue. The Democratic Party does not enjoy an overwhelming majority in the House. Moreover, the Senate is still in the hands of the Republicans. Therefore, any attempts by the Democrats to overturn decisions made by Trump’s administration or the legislative agenda initiated by the Republican Party would inevitably lead to huge political costs. There was no absolute winner or loser in these midterm elections. Therefore, it is unrealistic to expect the Democratic Party to form a fundamental check on Trump or even subvert major agenda items proposed by his administration after regaining a House majority. Trump may not have attached too much importance to this election because he is not seen as an absolute Republican, but more like a politician who became president as a member of the Republican Party in name only. In the past two years, although the White House and Congress were held by Republicans, Trump still didn’t trust the efficiency of congressional legislation. He hasn’t resorted to legislative procedures too often, but instead has mainly relied on issuing administrative orders. His political style in leading the country will be more prominent in the coming period. During this election campaign, Trump didn’t do his best for the Republican Party, but rather seemed to be saving his efforts for his re-election bid in 2020. Trump’s steps to quit multilateral international obligations, and initiate a trade war against several countries made it clear that to him, the Republican Party was doomed to lose control of the House. Thus, an early start to the 2020 presidential election is his top priority and he is saving the most powerful jetton for that. 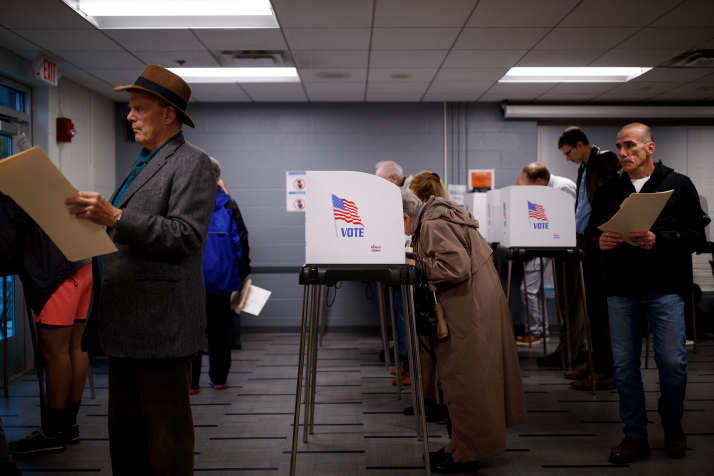 The midterm elections not only marked a watershed in Trump’s first term in office, but also signaled the beginning of the 2020 presidential election. After the midterms, Trump consolidated his control of the Republican Party and has begun a series of new appointments. A day after the elections, he forced out Attorney General Jeff Session, who he has regularly attacked, blaming the official for the special counsel investigation into ties between his campaign and Russia. With the resignation of some moderate members, the Republican Party will be more likely to run on Trump’s terms. Trump, who will now loosen the leash on major legislative plans, will not only strengthen his ruling style, but will also make full use of his presidency to safeguard the fruit of his economic stimulation policies and promote his agenda on immigration reform and infrastructure construction. He would be also more concentrated on foreign affairs such as trade, the Korean Peninsula and the Iranian nuclear issue, even proposing more radical initiatives. The Democratic Party, for the sake of presidential elections in 2020 and 2024, will not take its improved status on Capitol Hill as an opportunity to resist Trump irrationally in the presence of voters. Instead, it will try to resolve disputes through negotiations or making deals with the Republicans. 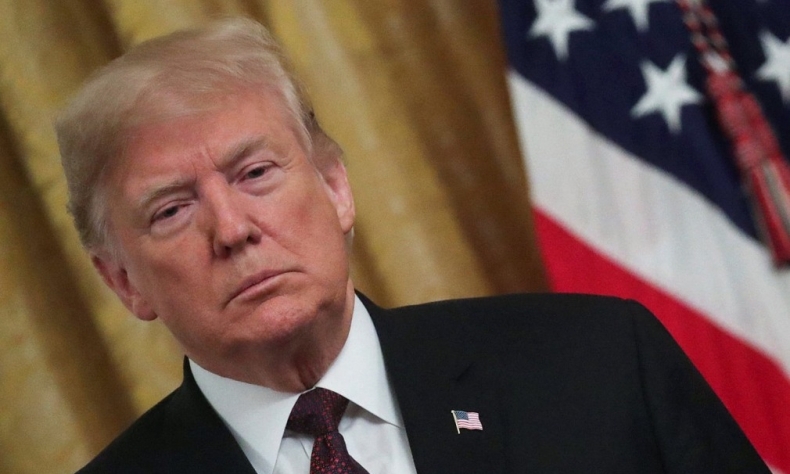 However, the Democratic Party will also continue to make use of scandals such as the Russia investigation and suspected tax schemes, along with highly controversial issues such as Trump’s self-professed nationalism and his immigration policy or even launch impeachment procedures to disrupt Trump and the Republican Party. The Democrats will cherish the results of the midterm elections and make early preparations for the 2020 and 2024 general elections. The victories of the Democrats in some traditional red states showed that white blue-collar voters could also be their target, while the electorate structure in the next few years is conducive to Democratic Party reform. The election of many Democratic Party governors will also improve the lot of the Democrats in the future. In the first two years of Trump’s term, China-U.S. relations have reached a low point due to trade frictions and disputes involving the Taiwan question and U.S. military involvement in the South China Sea. Domestic political factors in both countries have also created conflicts in bilateral ties. China watched the midterm elections closely as they may influence the future of bilateral relations. 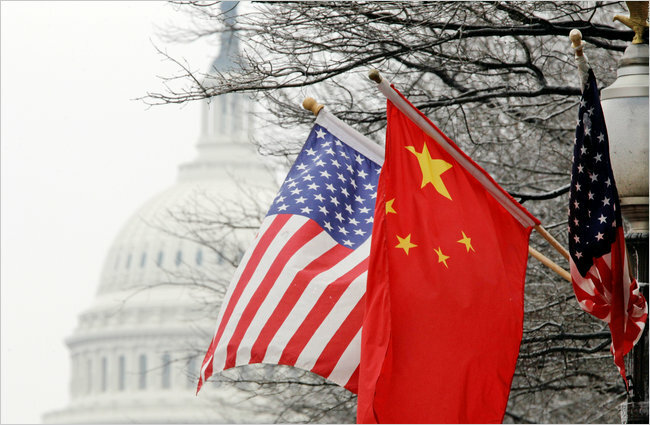 The reality may be that regardless of the results, the Trump administration is unlikely to take the initiative to get Sino-U.S. relations back on a positive track. The bottom line awareness of avoiding a full-scale confrontation between the two countries or even a full frontal conflict, of course, is still binding on the thinking and behavior of the president. But Trump’s pressure on China is unlikely to be completely relaxed in terms of trade friction. At the same time, the contradictions between China and the United States on Taiwan and the South China Sea still risk being intensified. Both sides need to take effective measures on them. What Progress Has Been Achieved in the Latest China-U.S. Trade Talks? Chinese Envoy Dispels Myths in U.S.